FotoNation Ltd. has partnered with Kyocera Corp. to develop advanced, intelligent vision systems for the automotive market. The technologies aim to enhance driver and pedestrian safety while accelerating the adoption of semi- and fully autonomous vehicles and providing a safer driving environment for occupants and pedestrians in urban areas. For its part, FotoNation said it will deliver complex computational imaging solutions for automotive applications. 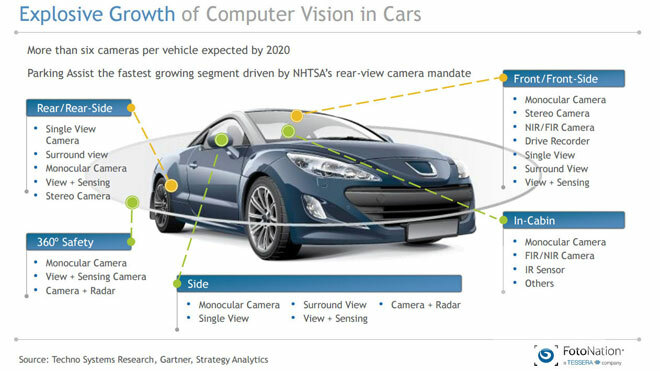 Infographic describing the growth of computer vision technology used in cars. Courtesy of Techno Systems Research, Gartner, Strategy Analytics/Business Wire. FotoNation provides hardware-accelerated imaging solutions for a number of automotive applications including driver monitoring systems, driver identification, surround view, e-mirror, smart rearview cameras and 360° occupancy monitoring. 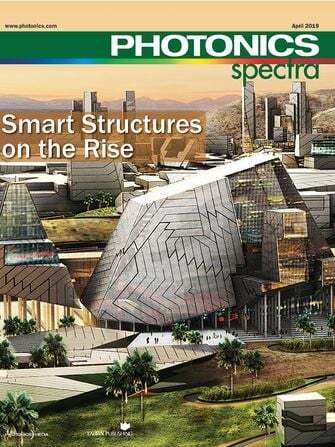 Kyocera is a supplier of electronic components, semiconductor packages, solar power generating systems, mobile phones, printers, copiers, cutting tools and industrial ceramics.